Florida Gold has many options when it comes to Orlando & Kissimmee vacation rentals with private pools. These homes have anywhere from 3 to 9 bedrooms and on the larger end can accommodate over 20 guests! Complete with a variety of other amenities and features these private pool homes are the perfect vacation oasis. Browse and book online today! Looking for the perfect vacation rental in Kissimmee FL? These beautiful 5 bedrooms and 2 or 3 bathroom rentals feature, spacious living areas and a private pool right in the Disney area of Orlando! 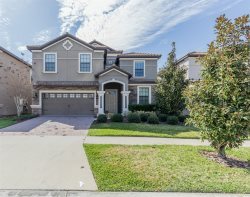 Fabulous 6 bedroom Kissimmee Vacation Home Rentals with 3 to 4 bathrooms each! Perfect for family vacations in Orlando and Disney World, Florida.